Accessing a Rigorous Learning Environment. Our dual-enrollment offerings are offered in partnership with Sierra College. . The following Sierra College courses are offered at Placer and Del Oro but are open to all PUHSD students. Each is scheduled to accommodate 1st and 4th block travelling between campuses. Ask your child's counselor for registration information. Several courses are articulated for dual-credit with other post-secondary institutions. Ask your child's counselor about this opportunity to get a jump on college. *Notice: There may be college grade and athletic eligibility considerations when taking dual-credit classes. Ask your child's counselor. It's not too late to enroll in our Chromebook Protection Plan. The cost is $30, payable at your school office. An inspection of the Chromebook is required prior to enrollment. See the details by clicking the plan link below. If you have questions, contact Eric Dalida at edalida@puhsd.k12.ca.us. Log in to the portal to update your child's information and review all annual notices. Once complete, your child's schedule will be viewable on the portal or handed out at your school's launch event. Once in your "parent" portal, look for the Perm ID# next to your child's name on the info tab. This is the password for all students to activate their own G Suite account. Visit the Resources for Students page for details on their username and password. Once a student is able to check this account, they'll soon receive a message explaining how to activate a "student" Aeries portal account to keep up with their grades.
. The app also allows you to customize your contact preferences. You can also simply sign up online at schoolmessenger.com/start. Do it today and get your messages the way you want. While families review and acknowledge most of these notices through the Parent Portal, we also post all required notifications on our Family Notices webpage. Go there! Check in with our friendly office staff whenever you pay a visit to any of our campuses. They will check you in and provide any direction you need to find your way around. (Campus Visitors AR 1250). Please review the plan explaining our district's approach to keeping our campuses free from unwelcome animal guests. For more perspective, watch a video trailer provided by the State of California. Click to review a letter to parents regarding all of our state testing, with more details below. This letter also includes information spelling out opt-out requirements, governed by administrative regulation approved by the PUHSD Board of Trustees. By the way, you'll hear teachers and principals talk about this test as the "S-BAC" test, which stands for Smarter Balanced Assessment Consortium. It's a national exam that students across the country take each spring. 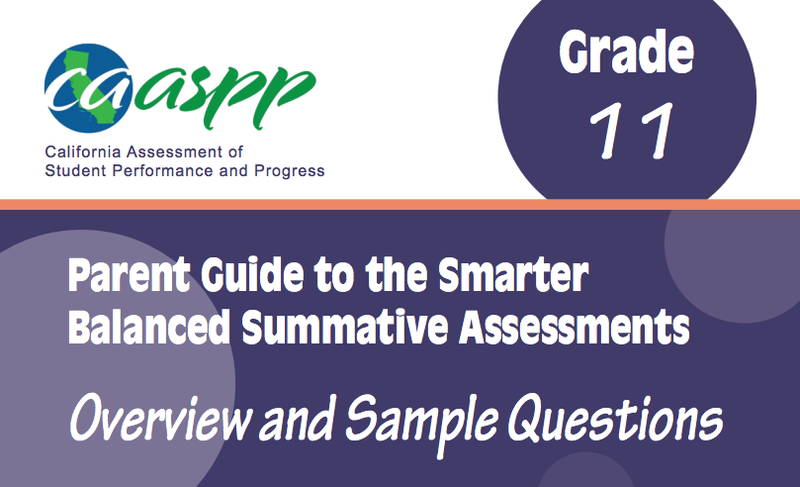 Here's a video explaining the Smarter assessment. In addition to the individual student score report (see above), Smarter results also provides school-wide scores that reflect how well we are preparing students for college and career. In time, Smarter Balanced results will be a school and district's accountability measurement used by the State of California and the U.S. Department of Education. Finally, here's a letter to parents regarding all of our state testing. This letter also includes information spelling out the opt-out requirements, governed by administrative regulation. Parent guide for California online tests: Click here. Distance learning classes are offered at multiple schools simultaneously via video conferencing (Chromebox for Meetings), student Chromebooks and---coming soon---collaborative white boards (Jamboards). The following courses are currently offered. We need Placer Union families to serve as foster families so that some of our students can remain enrolled in our supportive schools. View a video of coach and foster parent Joey Montoya. Search for a comprehensive list of social services. For more information, and to hear about upcoming foster parent orientations, please contact Koinonia at 916-652-5814x1100. Orientations are ongoing at 3731 Magnolia St., Loomis. Did you know your child can pre-register to vote as soon as s/he turns 16? Don't wait until 18; encourage your child to sign up for this civic right and privilege as soon as they turn the Sweet 16! Click here. Your child can choose great "reads" like they're on Amazon and then pick them up while on campus. They can reserve the latest fiction title today and share an online review once they've turned the last page. Here's how to navigate Quest. Review the School Accountability Report Cards, updated annually and submitted to the California Department of Education. English curriculum brochure: Click here. Math curriculum brochure: Click here.